The Tango snack and cold drink machine has a simple and elegant design and is suitable for medium to large locations. 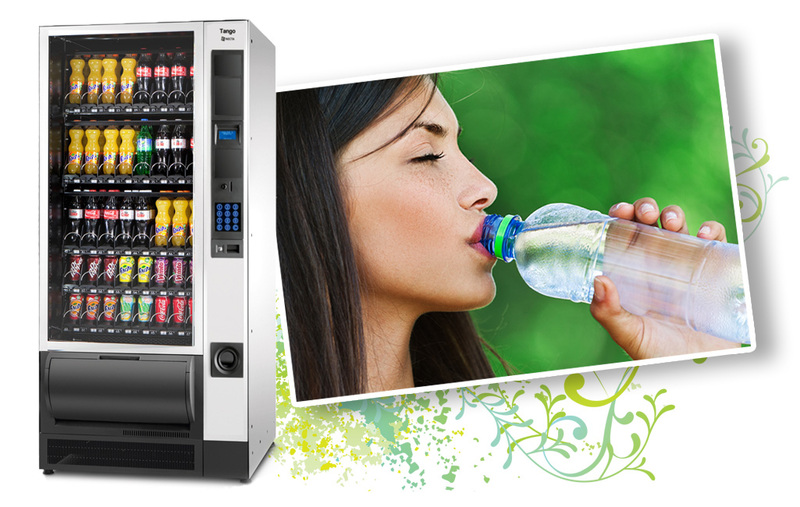 It is extremely flexible allowing it to offer a wide variety of snacks, confectionary, cans or bottles or a combination of all types in the one machine. The Tango’s large window displays products with optimum visibility. It is simple to use via a large graphical interface and touch sensitive LED backlit selection keypad. It has excellent size to capacity ratio allowing it to display and vend up to 36 different selections.